Saturday 9th September, see the return on tour of Phil Cunningham and Aly Bain. 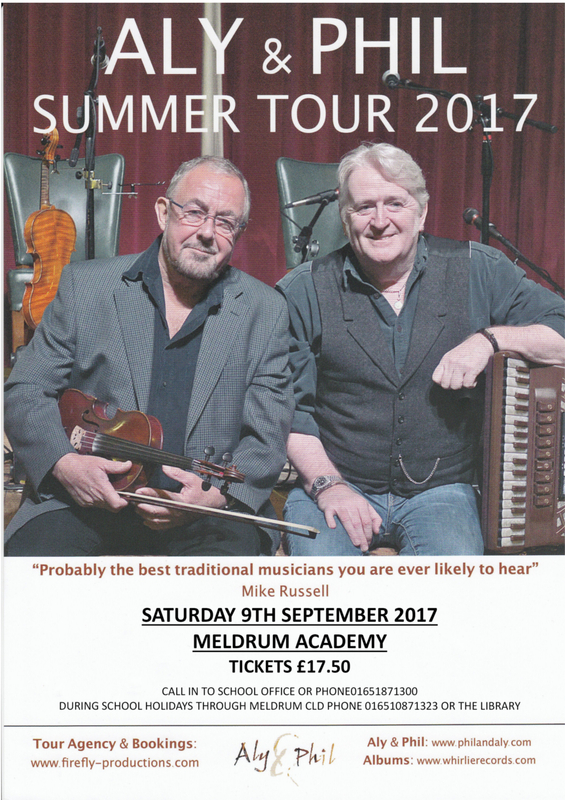 Two of Scotland’s great traditional musicians return to Meldrum Academy for a another superb concert in the offing. Get your tickets early as its always packed. « Calling all budding archaeologists!